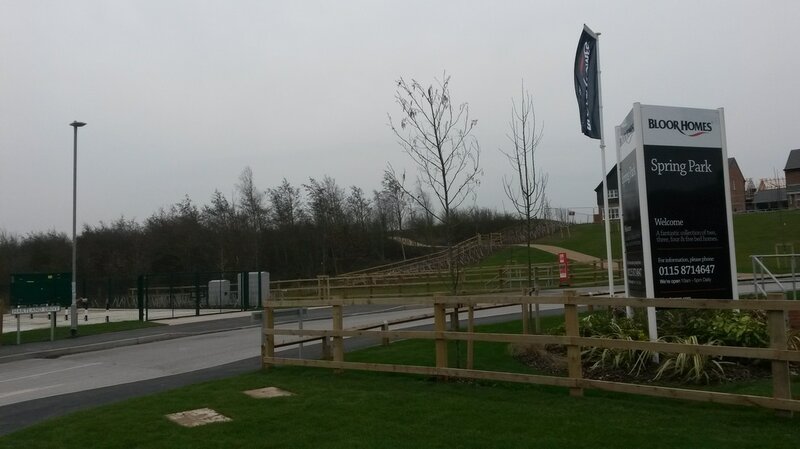 Two new footpaths have opened into the country park from Hartland Drive (the name of the new road entering into the Bloor Homes Spring Park estate). These footpaths enter the country park and lead to the new Visitor Centre and children's play area close to the Spring Lane car park. Bloor Homes has submitted a planning application detailing their proposed landscaping and planting strategy for their new "Spring Park" development of 150 homes just off Spring Lane and bordering the country park. Please click here to view the planning application (opens in new window). New drawings have been provided following consultation with the Friends and Gedling Borough Council, which show the existing hedgerow adjoining the park being retained and enhanced by Bloor Homes as part of their landscaping. 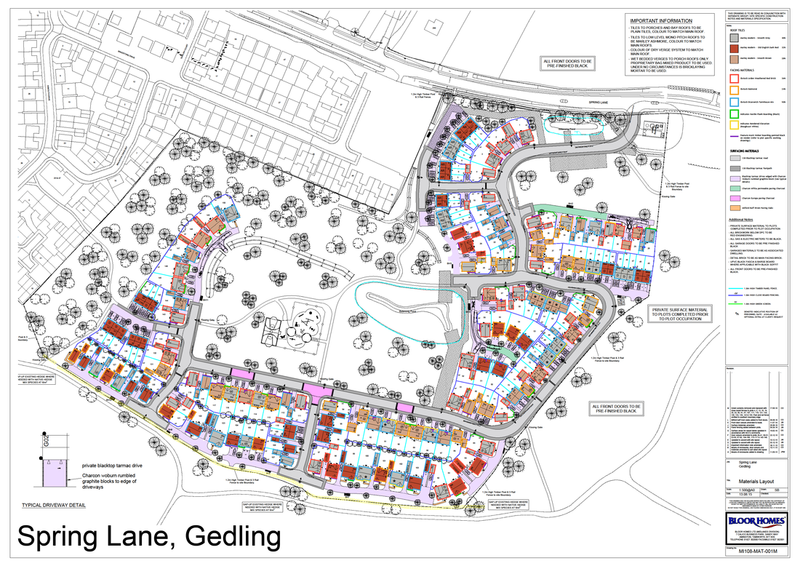 Planning approval has been given by Gedling Borough Council to Bloor Homes for their new Spring Park development. Please click here to view the planning application (opens in new window). From June 2015, Harworth Estates (who owns land next to Gedling Country Park) will be doing work to prepare this land for future house building. They have planning permission to build 150 homes on the site. Following these preparation works, Harworth Estates is likely to sell the land to a house builder who will start a build programme at some stage in the future. fencing off of a small section of the park (shown in yellow on the map below). The footpath into the park, on Spring Lane (to the east of Bradstone Drive and marked in blue on the map) will be closed during the construction works once a new temporary footpath from Axmouth Drive / Braunton Crescent (marked in red on the map) is created. For safety reasons, the whole of Harworth’s site (marked in grey on the map) will also be fenced off until the end of the preparation works. 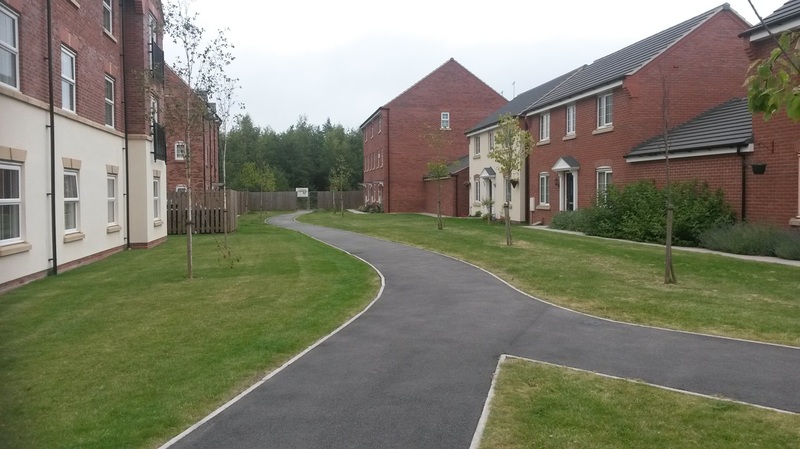 This new path is accessible by turning into Axmouth Drive (from Spring Lane) and then walking along Axmouth Drive past the turnings for Bradstone Drive and Braunton Crescent until you see a tarmacked footpath on the left between two rows of houses that leads to a gap in the wooden fence. Proceed through this gap and right onto the new footpath, which takes you into the park.